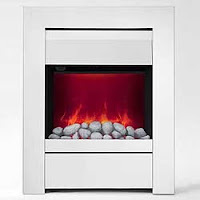 Bemodern have recently unveiled their LED electric fire range. 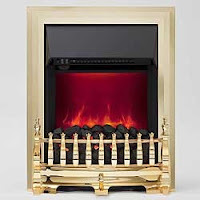 This range of fires are replacing the original electric fires that hosted a ribbon flame effect. The change from the ribbon effect to the LED isn't just for environmental reasons, the flame effect looks much more realistic too. 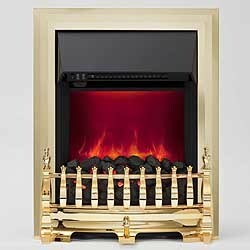 The LED flame effect uses much less energy to run, saving your energy bills, and the environment and the LED electric fires can be set to a 2kW, 1kW or flame effect only setting. It has been calculated by Bemodern that if you used the LED flame effect alone for 5 hours a day, and 7 day a week that it would cost less than £2 a year, and the expected life of the LED effect would be in excess of 30 years, now that is impressive. 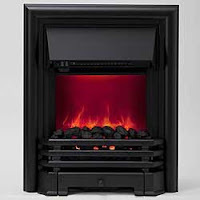 The potential savings continue with these electric LED fires as they have a thermostat control, that provides the user with complete temperature control and ensures minimum energy consumption. Other features of the LED electric fires include a large choice of fires and styles available and they generally come with fixed one piece coal or pebble fuel bed effect. This basically means the fuel effect looks very realistic but all the coals or pebbles are attached, and can be removed and replaced in one piece, allowing easy cleaning or dusting access to the fire. 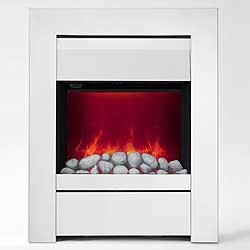 The LED electric fires also come with the spacer options that the ribbon flame effect fires came with, this creates a whole range of installation possibilities. There is a trend for LED products at the moment that looks to be growing and could very well be the future of fire effects and lighting in the household on the whole. Therefore it seems a great move by Bemodern to release the range of LED products, they are sure to be an instant success and continue on a success as the must have trusted products we all recognise today.